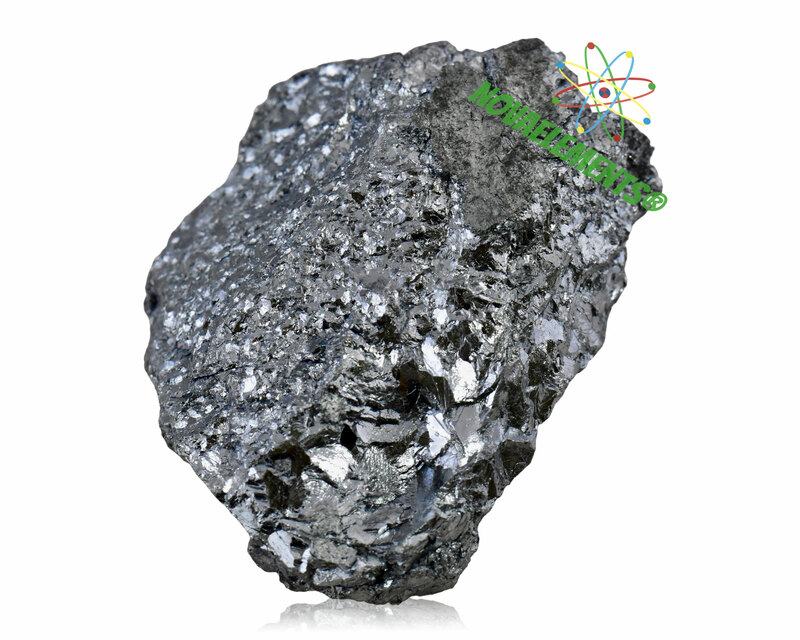 Chromium is a transition metal with chemical symbol Cr and atomic number 24. It is solid and silvery-white at normal pressure and temperature, very strong metal. 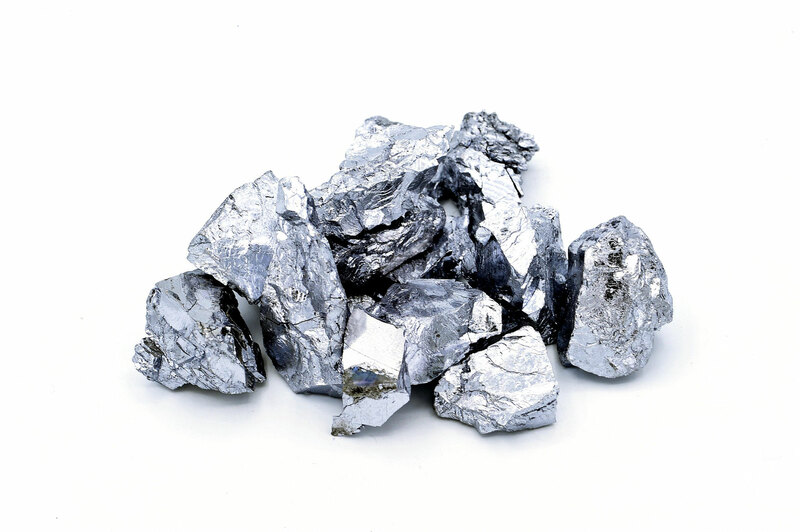 Chromium metal itself is harmless, but its salts and compound are very dangerous for health. 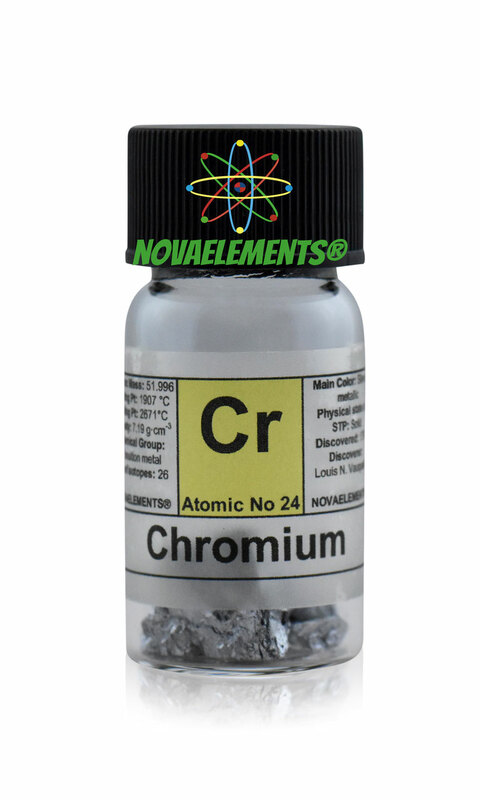 Pure Chromium metal element 24 sample of 5 grams shiny pieces in glass vial with colored label. 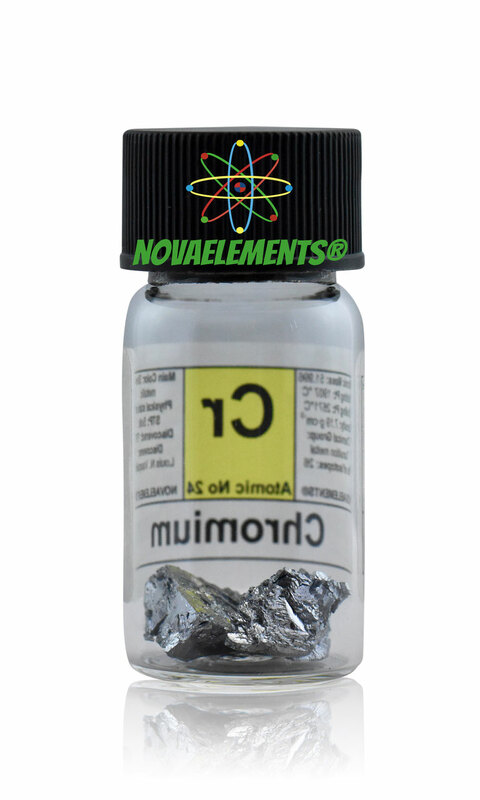 Pure element 24 sample in vial. 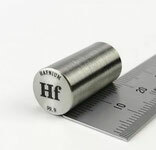 Pure Chromium metal rod 99.5%, element 24 Cr sample.